Amazon's Echo smart speaker that has a digital assistant built-in has been a surprising success for the retailer ever since its launch in 2014. So now Amazon is adding two other members to the newly-established Echo family. Meet the Amazon Tap and the Echo Dot. The Amazon Tap is basically the portable version of the original Echo which was rumored back in January. It's portable because it has a battery (so no need to keep it plugged in like the Echo) that will last for around 9 hours of use. It connects to Bluetooth and Wi-Fi, and like the Echo it comes with the Alexa digital assistant built-in. 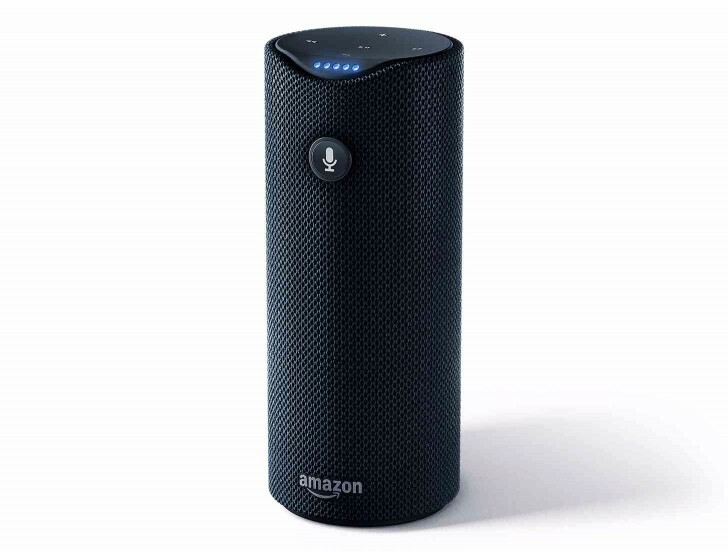 However, since it's battery-powered Alexa isn't always listening for your commands like on the Echo - you have to tap the microphone button on the device before you talk to her (hence the name of the speaker). The Tap has 360-degree omni-directional audio with Dolby processing. It's up for pre-order already for $129.99, and will be released on March 31. 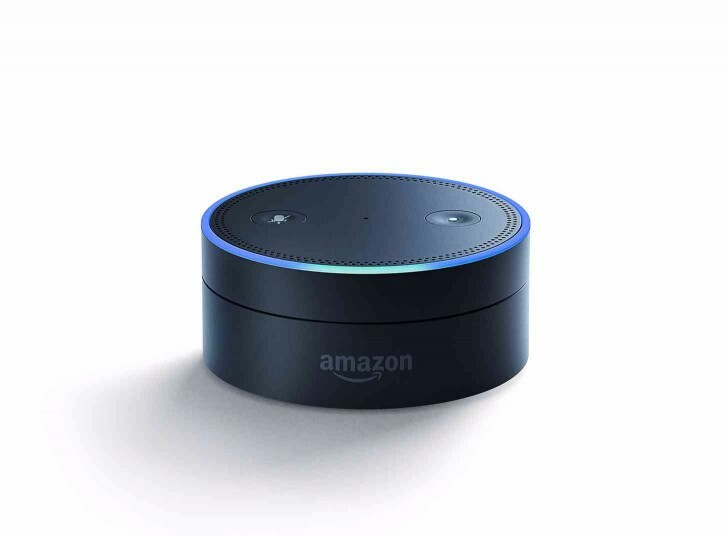 The Echo Dot is very small, and it's primarily meant to connect the intelligence of the Alexa digital assistant to your existing speakers. It has a 7-microphone array like the full-size Echo, but only a very small speaker. The idea is that you'll use an audio cable or Bluetooth to pair it to your existing speakers. You can also use it as a smart alarm clock, for example, all on its own. This device costs $89.99, but oddly you can only get one through an Amazon Fire TV or Echo speaker, by asking Alexa to place the order. You have to be a member of Amazon Prime to receive it.